Mumbai Mega Block by the Central Railway and Western Railway is carried out almost every Sunday to carry out the repair and maintenance work of railway tracks. 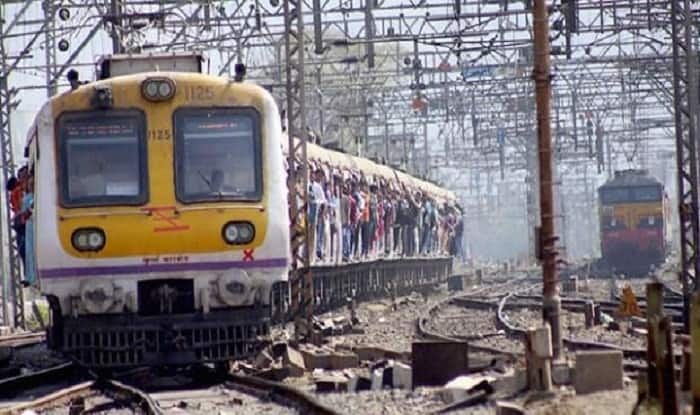 Mumbai Mega Block: The Mumbai Local Train operations on Central Line, Harbour Line and Western Line are likely to remain affected on Sunday, April 14 due to Mega Block. In the wake of the same, the Indian Railway Catering and Tourism Corporation (IRCTC) has urged people to refrain from taking up the routes where work to maintain the infrastructure and safety is scheduled to be carried out. The Mumbai local train services on the Matunga and Mulund down slow line from 10.57 am to 03.52 pm will be diverted on down fast line between Matunga and Mulund statins halting at Sion, Kurla, Ghatkopar, Vikhroli, Bhandup and Mulund stations and further re-diverted to down slow line proper at Mulund stations. Further, the down slow line services will not be available at Vidyavihar, Kanjur Marg and Nahur stations. The passengers of these stations will be allowed to travel via Ghatkopar, Bhandup and Mulund stations. The up fast and semi fast local train services leaving Kalyan from 10.54 am to 03.06 pm will halt at Diva, Mulund, Bhandup, Vikhroli, Ghatkopar and Kurla stations in addition to their respective scheduled halts and arrive destination 15 minutes behind schedule. During the block period, the down fast and semi fast services leaving CSMT Mumbai from 10.48 am to 03.40 pm will halt at Ghatkopar, Vikhroli, Bhandup, Mulund and Diva stations in addition to their respective scheduled halts and arrive destination 20 minutes behind schedule. Furthermore, all down and up slow local train services leaving/arriving CSMT Mumbai between 11.00 am and 05.00 pm will arrive destination 10 minutes behind schedule. All down Harbour line local train services to Vashi/Belapur/ Panvel leaving CSMT Mumbai from 10.34 am to 03.44 pm and all Up Harbour line local trains towards CSMT Mumbai leaving Panvel/ Belapur/ Vashi from 10.21 am to 03.28 pm will remain cancelled on Sunday. However, special services will be made operational during the block period on Panvel- Mankhurd stations. The IRCTC has announced that the Harbour line passengers will be permitted to travel via Main line and Trans Harbour line from 10.00 am to 04.30 pm. A five-hour block at Prabhadevi station was carried out between 00.30 am to 05.30 am for the launching of girders. Meanwhile, a jumbo block was also to be taken up o­n Up and Down fast lines between Churchgate and Mumbai Central from 10.35 am to 15.35 pm o­n Sunday to carry out maintenance work of tracks, signalling and overhead equipment. However, the Western Railway announced on Saturday that the same stands cancelled.